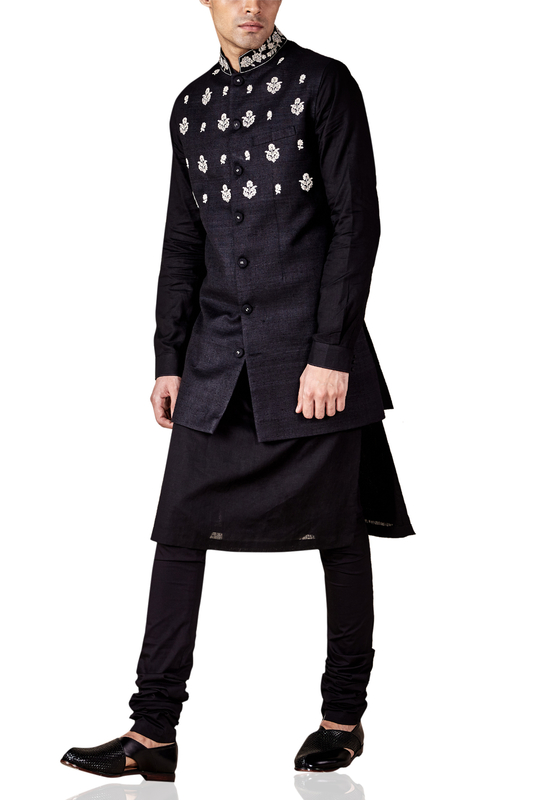 Ridhi Mehra is all about giving the ethnic silhouettes a modern update featuring a black embroidered long bandhgala. Style the look with tapered chinos and dark brown shoes. 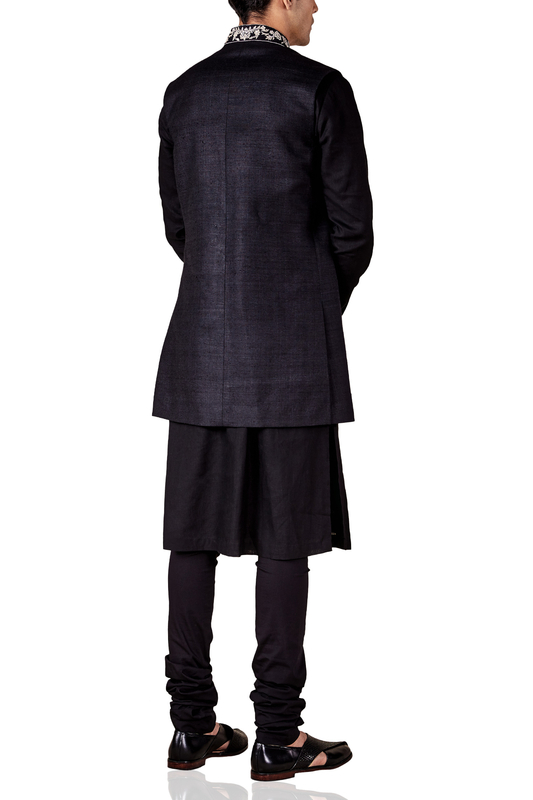 The pants and kurta are for styling purpose only.